One of the most powerful trends in recent years is the way in which companies are making their expertise and core competencies available to address global issues. Corporate Social Responsibility has changed the landscape of engagement and we, for one, are very grateful. 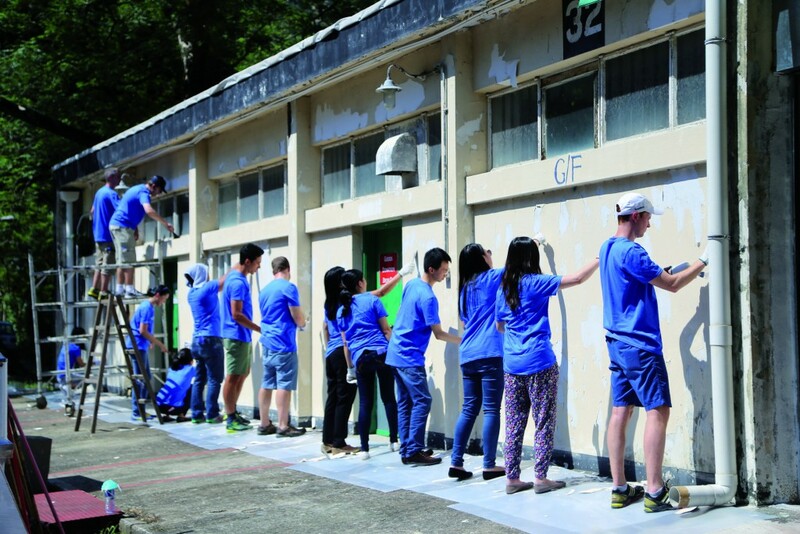 Corporate partnerships empower us to help those we serve. We’ve featured a few examples on this page. We are indebted to the companies who help us help others by giving their services in a wide range of sectors. Hong Kong, Marks & Spencer, Microsoft, Nike, Ocean Park, Ralph Lauren Asia Pacific, Sino Group, Starbucks, Swire, Tesco, UBS AG. The calls began in earnest mid 2015 as a surge of global interest grew in response to the refugee crisis. 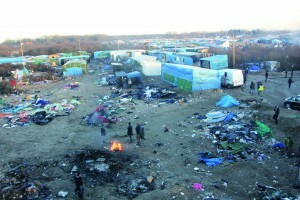 In Calais, France, an informal camp appeared, known as the ‘Jungle’. It grew rapidly, though without decent facilities or permanent shelter. There were hundreds of unaccompanied minors among the refugees, children in hugely vulnerable situations. Through our Global Hand service, many people across the channel, in the UK, wanted to reach out. Our Global Hand office ran hot, throughout the duration of the Calais Jungle, guiding donors by phone and email to see the needed goods reach those stranded in this heartbreaking location. 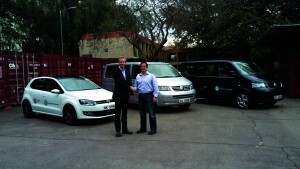 Volkswagen astonished us by donating two people passenger movers, Caravelles and a Polo, perfect for moving our team around. Rather than sell these slightly used company cars, Volkswagen chose to donate them to us. An awesome gift! 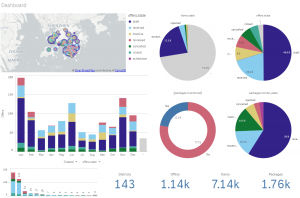 Facts, figures, data… The creative IT company, Qlik, ‘automagically’ lets you see your data through different ‘lenses’ , in visual form, or graphs or charts. That ‘view’, in turn, lets us manage our systems better which means we can better serve people in need. Amazingly, Qlik has donated its services to us. Their example is proof positive that companies can help people in need by using their expertise. And all at a ‘Qlik’! What do we offer companies at crossroads? Email engagement@crossroads.org.hk to get connected! a logical idea to join us as a regular community volunteer. “I strongly believe I’ve received a lot from society. I wanted to do community service, to pay it back, and Crossroads was at the top of my list. The opportunities here suited my abilities and experience”, he said. 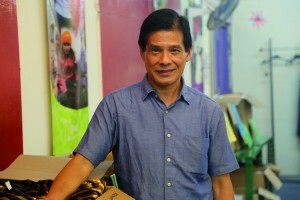 Now, Charles volunteers on our partnerships team helping Hong Kong companies partner with Crossroads with donated gifts and services. His skills and experience are invaluable! Learn how we engage with the Sustainable Development Goals.